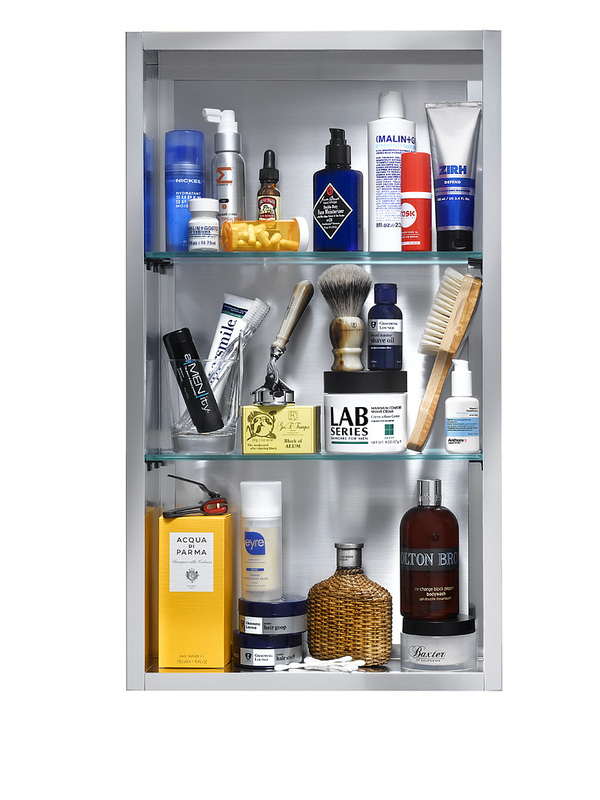 The Grooming Lounge is one of the 50 best websites we recommend that every man become well acquainted with–and for good reason. Not only do we like their products and services, but they also have a lot of experience with men’s related grooming issues and concerns. This includes shaving, getting rid of excess body hair, making the most of the hair you do want (on your head), and smelling your best no matter how hard you work and play. This week we spoke to Grooming Lounge’s expert on everything man, the founder and CEO, Michael Gilman, and today we are all better men because of it. Urbasm: What is the story behind the origin of Grooming Lounge? From there, I set out to create destinations where men could get the grooming products, services and education they desired, but in an environment that was really comfortable for them. Our e-commerce site launched in 2000 and our first store followed shortly thereafter in 2002. Another store and our own line of men’s grooming solutions have come since. Urb: What is the simplest (easy to keep up with) skin routine that will keep a man’s face clean and blemish-free? What about for hair? MG: Men need things to be simple and very solution-focused. Cleanse-Scrub-Moisturizer is the best way to start. Daily, men should cleanse the face to get rid of grime/dirt, using substituting a scrub 1-2 times a week to exfoliate dead skin, unclog pores and remove excess oil. Finally, every man should use a moisturizer daily, ideally with SPF. Those three things can go a long way. Hair is pretty easy, and most often the biggest hair issue for men is not having enough of it. To keep hair healthy and hold onto what’s left, the best bet is to use a quality shampoo and conditioner daily. A good shampoo will cleanse follicles, without stripping the hair of essential moisture. The conditioner will act like a moisturizer, hydrating and reviving dull hair. In terms of styling products to perfect a look, just avoid anything with tons of alcohol, as it’s really drying to hair and tough on scalps. Urb: What are three must have grooming items that most guys don’t realize they need? MG: Nose and ear Hair Trimmer: No amount of money or stature can overcome nasty strands of hair sticking out of a nose or ears. Targeted Face Wash: Does a guy really want to clean his face with the same bar of soap that just cleansed “down there?” We think not. Moisturizer: Simple product keeps a man’s “money maker” looking fresh and presentable. Unfortunately, tons of men skip this step and it ends up making them look older than they actually are. Urb: Which is better… electric or razor? Why? MG: If time permits, we’d suggest wet shaving with a razor every time. It gets a closer shave and if done right, does so with less irritation. Urb: What are the biggest mistakes that men make when shaving? Urb: What are your best tips for pulling off a beard with class? 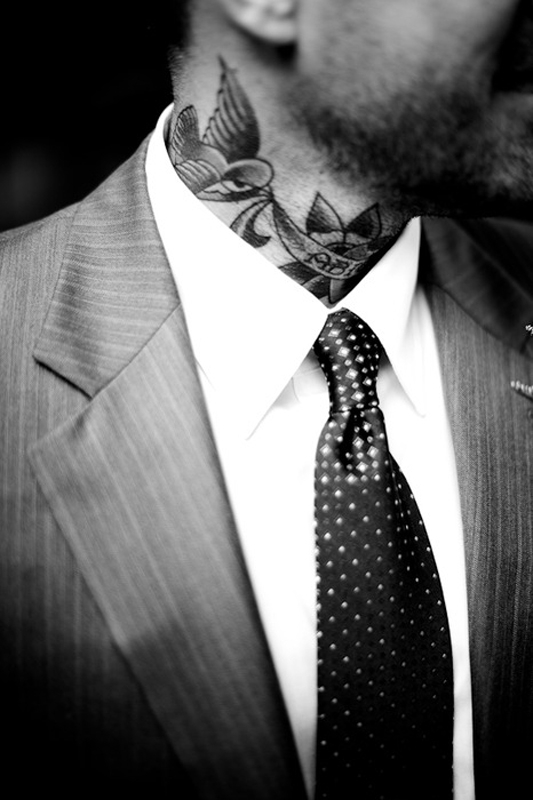 MG: While growing a beard simply requires “not shaving” – growing a handsome and well-groomed beard takes work. To keep a beard healthy, soft and less itchy, it’s essential to clean and moisturize that follicle formation with targeted products. Also, trimming away unwanted “neck beard” via a razor shave can keep things well-kempt. Additional sundries like a beard comb, scruff softener and beard oil can round out the maintenance package. Our Ultimate Beard Maintenance Kit is great for any bearded fella’. Urb: Who are the hottest fragrance brands for 2014? MG: Fragrance trends are always changing, but classics from Varvatos and Tom Ford always seem to do well. Acqua Di Parma’s Colonia Intensa Oud is a newer and really popular fragrance. Urb: What are your top three essential grooming tips that every modern man should know? MG: One, stop using a body bar to clean the face: Do you really want to clean your face with a bar you just used on your rear? Use a targeted cleanser that won’t dry skin out and will keep it clean and hydrated. Two, excess Hair: Whether it’s in the nose, eyebrow, back hair and yes, even a trim to the privates, too much hair is not a good thing. Get rid of it. Three, wear an SPF daily: Even when it’s not sunny out, men should wear product with sun protection. Damaging rays are always around and can do a real number on skin and the aging process. Urb: What is one essential grooming product that has yet to be invented, and you hope to welcome to your inventory soon? MG: An all-in-one pill that helps remove hair from the places it’s not wanted and encourages growth in those places it’s desired. Urb: What can we look forward to from the Grooming Lounge in the future? 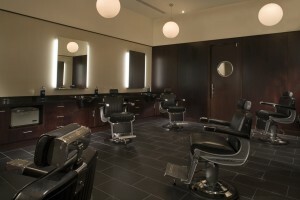 MG: We have a lot of exciting things happening, including the introduction of a bunch of new Grooming Lounge Solutions. We’re talking a Body Powder, Moisturizer, Face Scrub and Razor Burn solution all being introduced in 2014. Additionally, our web site will soon be launching both a Rewards Program and a Continuity Program to make getting more handsome even easier. Lastly, be on the lookout for additional Grooming Lounge stores in the coming years. Michael Gilman is Founder & CEO of the Grooming Lounge, the country’s premiere source for men’s grooming products, services and education. 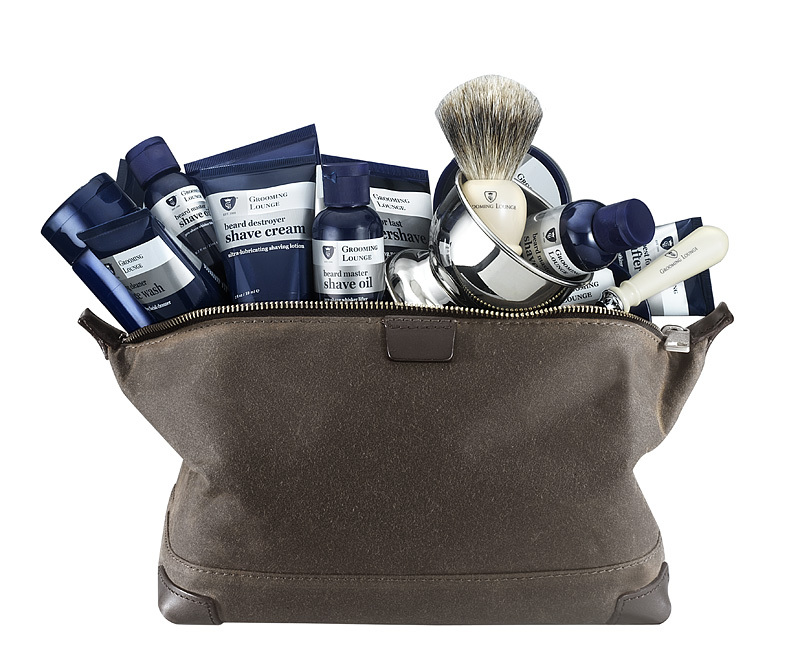 The company also has iconic Barbershop & Spa locations exclusively for men in Washington, DC and Northern, VA and its own line of custom-formulated Men’s Grooming Solutions.